Welcome to Miro by Polygon. 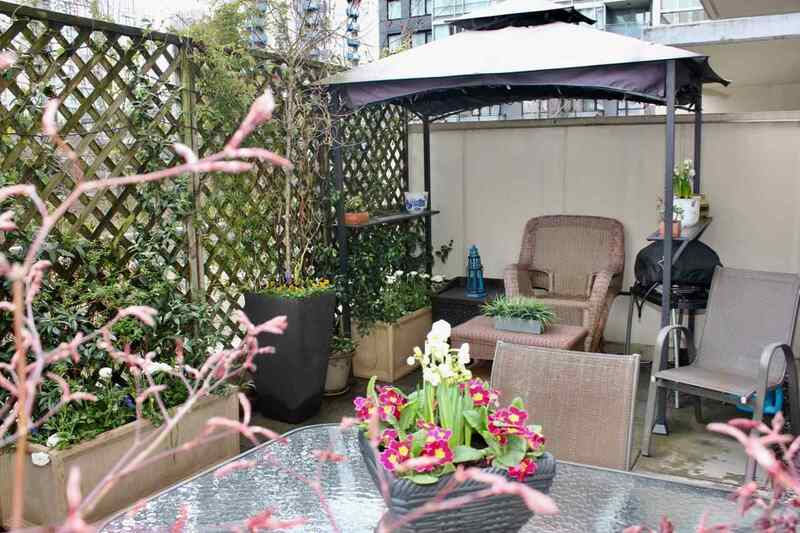 This immaculate 2 bedroom suite has a large private deck to garden and entertain plus a balcony for your BBQ. Other features include a gas cooktop, stainless appliances, granite counters, contemporary flooring, 1 1/2 baths and tons of in suite storage. A garage parking spot and a storage locker are included. This very well maintained building has excellent amenities and is conveniently located near all the services of downtown living. Your pets are welcome and rentals are allowed. Strata plan shows 714 sqft plus 2 outdoor spaces. Professionally measured at 722 sqft. Also very easy to show by appointment.